March 18, 2019 5:47 pm. Trainer Ben Currie will need an extension of a stay of proceedings to continue running his stable. Ben Currie will seek an extension of a stay so he can continue training after an internal review reaffirmed a decision to stand him down pending an inquiry into jigger charges against him. Queensland’s leading trainer, Currie, who trained five winners at the weekend to take him to 118 for the season, was stood down from training after stewards charged him with seven offences including use of a jigger. He sought an internal review of the decision and he went to the Queensland Civil and Administrative Tribunal seeking a stay. On February 20, Currie was granted a stay which was to remain in place for five days after the internal review was determined. A Queensland Racing Integrity Commission deputy chairman Mark Ainsworth confirmed on Monday the internal review had ruled against Currie and the order to stand him down from training would be reinstated. Currie will now seek an extension of the stay order in QCAT, probably later this week. In an 11-page judgment, the internal reviewer Kane Ashby said he agreed all matters should be judged on their merits. He paid particular attention to the text messages which formed the basis of the charges and noted in one Currie had used the term “harped up”. “The reviewer acknowledges the seriousness of the charges, in particular the alleged use or instruction to use an electric or electronic apparatus to a horse which is designed to deliver an electric shock,” Ashby said. “Notwithstanding, the reviewer acknowledges such charges are yet to be proven and the subject review is particular to the decision to suspend Currie’s trainer’s licence. “In carefully considering the evidence and in particular Currie’s failure to provide any direct evidence or explanation for the term ‘harped up’ as noted in the facts relied upon, (the reviewer) finds the continued participation of Currie poses an unacceptable risk to, prejudice or undermine the image, interests or integrity of racing. Currie has also been training for nine months on a separate QCAT order arising from a series of other charges. Stewards held a closed inquiry last week to hear 14 of those charges which arose from a raid on his Toowoomba stables in April last year. A further 14 charges stemming from that raid will be heard next week. Stewards will hear a further four charges involving positive swabs and the seven charges which include the use of a jigger next month. A decision on all charges is expected late in April. 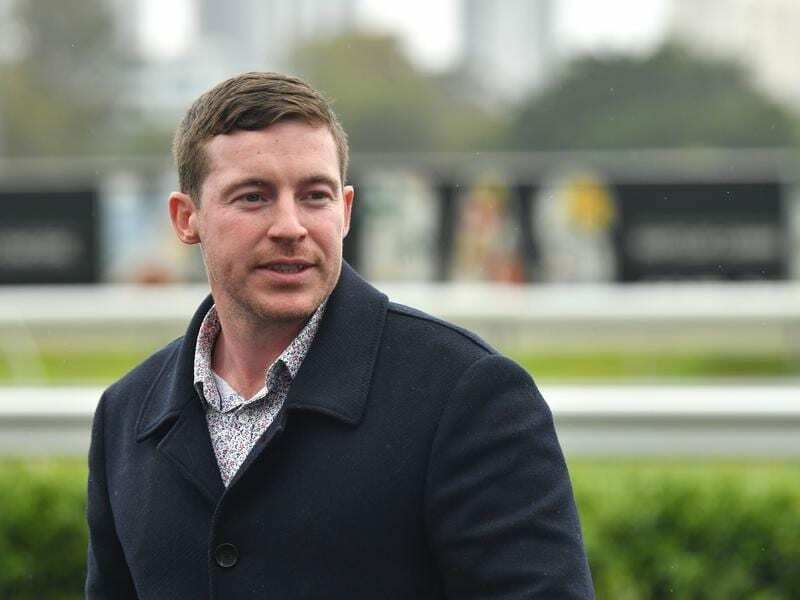 To further complicate matters Currie is banned from the Brisbane Racing Club’s Eagle Farm and Doomben meetings but can attend other tracks, as he did at the Gold Coast on Saturday.